REVISES to the National Driver Work Diary will reduce red tape and the chance of copping a fine for a mistake says National Heavy Vehicle Regulator CEO Richard Hancock. You can have your say on revises to the National Driver Work Diary until May 20. Hancock said the transport industry had consistently asked for a simpler work diary and more flexible and practical fatigue management regulations over the past two years. The work diary changes were recently announced by the National Transport Commission. They were devised in partnership with the NHVR, industry and governments, to reflect the requirements contained within the new Heavy Vehicle (Fatigue Management) National Regulation 2013. Check out what the new diary will look like here. 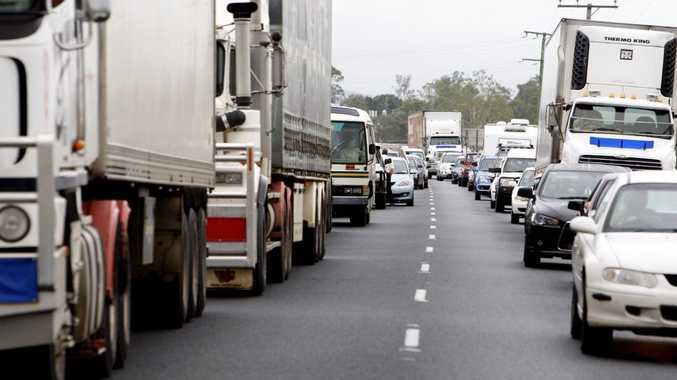 It is proposed the new regulation will come into effect as part of the new national heavy vehicle laws, later this year, and will be administered by the new National Heavy Vehicle Regulator (NHVR). The NTC's Acting Chief Executive, George Konstandakos said the work diary was an important part of managing fatigue for drivers of heavy vehicles. "The regulations require that work diaries are used to ensure that drivers and other parties in the supply chain meet their fatigue management obligations," said Mr Konstandakos. "The changes to the diary bring it into line with the new fatigue regulations which were approved by the Standing Council on Transport and Infrastructure in March 2013. "The new diary will have simplified daily sheets and will also be accompanied by advice on the fatigue laws so drivers can easily reference information most relevant to their duties. "These changes will make it simpler, quicker and clearer for drivers to fill out the daily sheets as there is less information required and not as much duplication." Drivers will only have to record their vehicle registration once a day or if their vehicle changes, rather than at every break. Drivers will only have to record the location and odometer reading at the start of a rest break, and not when finishing their break too. Drivers will only be required to record their operator's Basic Fatigue Management (BFM) or Advanced Fatigue Management (AFM) accreditation number once in the diary (or again if it changes), rather than on every daily sheet. Solo drivers are no longer required to record the state or territory where their licence was issued. A new optional comments section is included to allow recording of information such as delays and notes made by authorised officers. Are the changes to the work diary enough? This poll ended on 04 May 2013. Yes, the changes will make it easier to do my job. No. Fatigue management issues have not been addressed. "Improving the work diary, and improving the law, will help drivers, and other responsible parties in the supply chain, to ensure that their focus on managing fatigue isn't diminished by undue difficulties in managing the paperwork," Mr Hancock said. "The new diary will reduce any possibility that a 'paperwork error' could lead to a fine, while still ensuring that critical information regarding fatigue management and rest breaks is clearly recorded. "There will be no reduction in the effectiveness of road safety law enforcement; in fact, we'll be even more focused on the things that really matter. "The NHVR is very pleased that one of the first products we will deliver will be something that makes a real on-the-road difference to Australia's heavy vehicle drivers, who are the foundation of our transport industry. "We're delighted by the cooperative and supportive working arrangements developed between the NTC and NHVR to advance this practical reform," he said. The NHVR will work with the States and Territories to make the new work diary available for sale nationwide. The NTC said transition periods and other phase-in arrangements would be announced later. Mr Konstandakos thanked the National Driver Work Diary working group who have assisted the NTC to revise the work diary. Members of the working group included governments, the National Heavy Vehicle Regulator, the Transport and Logistics Industry Skills Council (TLISC), Australian Trucking Association (ATA), NatRoad, Queensland Trucking Association (QTA), Australian Livestock and Rural Transporters' Association (ALRTA), National Road Freighters Association (NRFA) and the Long Haul Drivers Association. Feedback on the proposed changes to the National Driver Work Diary can be provided to the NTC until 20 May 2013 through the NTC website or by post, Att: National Driver Work Diary, National Transport Commission, Level 15/628 Bourke Street, Melbourne Vic 3000. The final version of the diary will be considered by the NHVR Board at the end of May 2013.